Semillon is a classic grape not perhaps admired as much as Chardonnay, Riesling and Chenin Blanc, but is well used as a blending grape alongside Sauvignon Blanc. Semillon is sweet in taste, and as well as making a good accompaniment to the bold and ‘tart’ Sauvignon Blanc is also ideal for the production of the sweet dessert wine ‘Sauternes’: it accounts for 80 per cent of Grapes used in the most admired dessert wine of all: Château d'Yquem. In Bordeaux it is one of three approved white grapes: Cabernet Sauvignon, Semillon and Chardonnay. 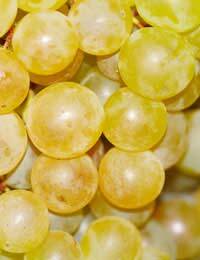 It ripens weeks earlier than other grapes and is relatively easy to grow, hence its ongoing popularity. Dry Semillon carries flavours of fig and lemon. Sweet Semillon tends toward peach and apricot flavours. In the New World wines have are often made with straight Semillon. One interesting blend is Semillon-Chardonnay, made in Australia. Semillon was introduced to the New World in the 19th Century and was at one point the most planted grape in the world due to its popularity in countries such as Australia (where it was introduced in 1832 and South Africa, where it was the most planted wine grape for a considerable time. In Australia Semillon was initially mis-labelled as a Riesling (and in the Hunter Valley is still so-called! )Things have moved on since then however and some Vintage Australian Semillon’s are very well sought after (particularly those produced in cooler years), considered on parity with their French counterparts, despite the embarrassing mis-nomenclature. The hardy-ness of Semillon is partly responsible for it having travelled so well. It is grown in Argentina, Australia, California, Chile, France, Israel, Tunisia. The grape is party to only one form of disease – the ‘noble rot’, or Botrytis Cinerea (see related article Bordeaux), which is actually beneficial to the production of sweet wine. This rot, however, does not come about in many climates, making the grape possibly the hardiest in existence. Curiously one 1950’s Californian Vintner set about inducing rot in his Semillon grapes, so aggrieved was he that he could not bring about the conditions necessary to producing ‘Sauternes’ style wines. Try Out Semillon Wines/h4>Prejudices against the New World and supermarket shopping aside, it is relatively easy to come across a good example of a blended Semillon at the supermarket or online. Either a Chardonnay Semillon (Penfolds Rawsons retreat Semillon Chardonnay from virginwines.com) or Semillon Sauvignon Blanc (Fenwick Estate Barossa Valley Semillon Sauvignon Blanc, as before) will leave you in no doubt as to the characteristics of the grape. Expect to pay no more than £5-6 for a first try, you can be more elaborate in spending if you decide you wish to explore further. Semillon is said to go well with dry ‘tart’ desserts such as Cheesecake, due to its sweetness (this of course is especially true when used to make a dessert wine). It is also an ideal accompaniment to shellfish, muscles and shrimp. New World Semillon’s which are generally bolder than French may also go well with fish and White pasta dishes.